This baby girl quilt which progress was shown Here, here and here was received by my friend in Paris. She loved it and offered it to her grand-daughter. A beautiful week-end to everyone! This is the PERFECT baby girl quilt!! Very modern and pretty!! What a precious gift you have given to that little baby girl. So sweet! It is so pretty, Christine :-) I love flying geese! Beautiful - can't go past flying geese and these colours are lovely! Your quilt is very lovely! The pinks are so pretty in the flying geese pattern. Your friends grand daughter is sure to treasure and adore it! Have a great day! Ah, Christine, very beautiful. I do love your work! It is very pretty! Love your fabric choices! 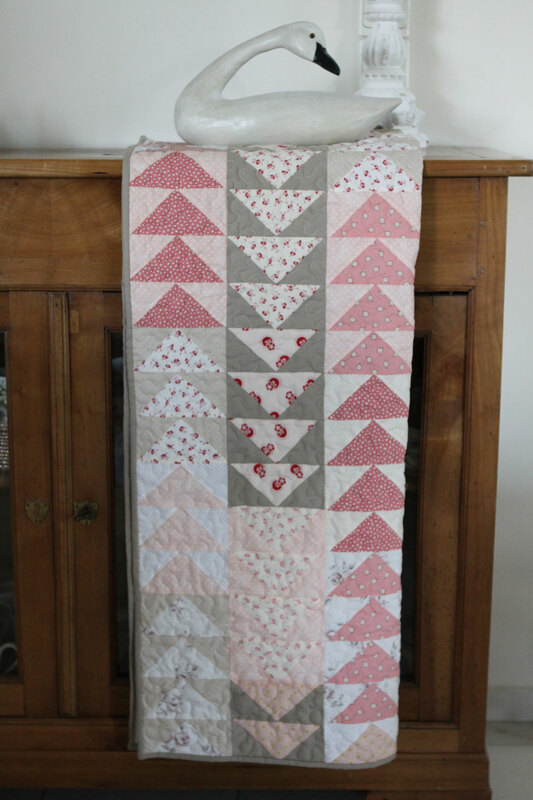 Your friend's granddaughter must love having her own quilt and one so very beautiful too! I always love your photos Christine! Beautiful quilt, such nice colours! I am sure the parents will be over the moon with such a nice gift! Oh so sweet of a baby girl quilt! 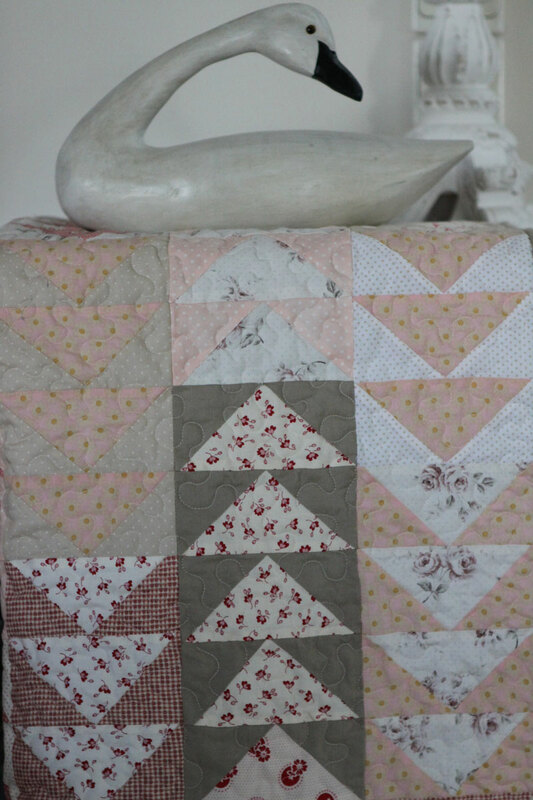 this quilt is adorable, I have wanted to make a large flying geese quilt too, what size are the blocks? Love it! Soft colours a beautiful gift. Christine, that's a beautiful quilt! Greetings from Canada, Christine! My daughter and I followed your instructions in 2015 and made a few geese using iconic Hudson Bay Company colors, dark navy, red, white and green for her baby boy quilt. Love it, thank you. You are welcome! So happy so be of help! It's really a wonderful diy project.